Joseph Zysk was quiet after sentencing. Saying less prison time would "demean" the beating death of a 3-year-old, a Philadelphia judge sentenced a Roxborough man to five to 10 years in prison Friday for killing his girlfriend's crying son. On April 1, a Common Pleas Court jury found Joseph Zysk guilty of involuntary manslaughter in the Jan. 15, 2011, death of Jason Larkin Jr. The verdict - the jury deadlocked on a count of third-degree murder - confronted Judge Linda Carpenter with a discomforting issue in what she called a "highly sensitive case." Given that Zysk, 30, a railroad lineman, had no criminal record, state sentencing guidelines recommended just nine to 16 months in prison. Carpenter told Zysk and defense attorney Evan T.L. Hughes from the start she could not impose the recommended sentence. "A guideline sentence would demean the importance and gravity of what happened," she said. Ninety minutes later, after emotional statements from Zysk's parents and the families of the dead child, Carpenter imposed the statutory maximum for involuntary manslaughter involving a child. Zysk, sporting a mustache and goatee and with his hair closely cropped, spent the hearing staring at the table with his head hanging. He said nothing before he was sentenced. He was led from court by deputy sheriffs without turning to acknowledge his parents or the anguish and anger roiling behind him. Zysk's father and namesake, Joseph A. Zysk, turned and apologized to Jason's father and mother and other relatives. He and Zysk's mother recalled Zysk's childhood and better times. Jason's maternal grandmother, Mary Pat Finn, described how his death fractured both families. "This has created such a void and loss it's hard to imagine how life should have been," Finn said. Zysk's legal problems are not over. Because the jury hung on the more serious murder charge, Assistant District Attorney John O'Neill said he intended to retry Zysk on that count. Carpenter tentatively set retrial for Nov. 10. Although such retrials have occurred, Hughes said he would challenge it as a violation of the constitutional double jeopardy provision barring trial twice for the same crime. 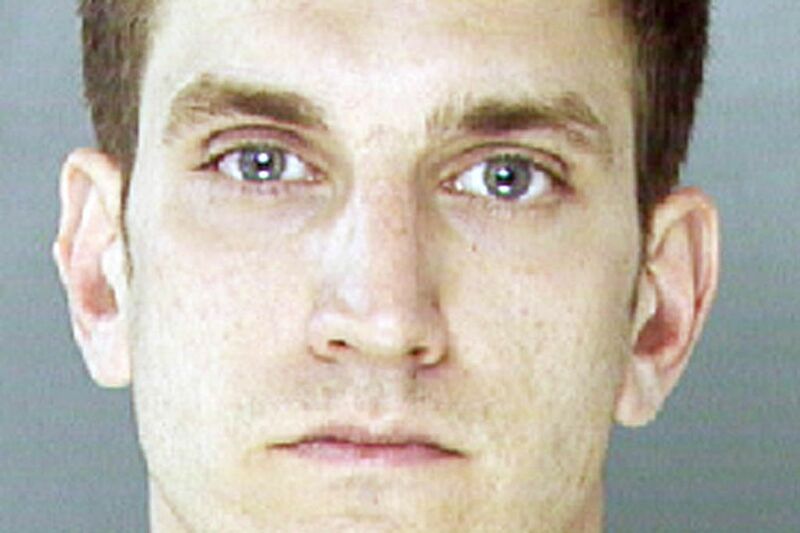 The killing occurred in the Roxborough home of Zysk's mother, where he then lived. That night, Zysk was staying over with his 3-year-old daughter; girlfriend, Danieala Gonzalez; and Jason. Gonzalez, 24, and Zysk, drug addicts who met in rehab, had used heroin some hours before the killing. Zysk testified that he "thumped" Jason two or three times in the side sometime between 2 and 3 a.m., frustrated because he was sleepless and the boy would not stop crying. An autopsy showed the blows pushed Jason's liver against his spine, cutting the organ and causing him to bleed to death. Zysk said he knew he had hurt the 3-foot-tall, 40-pound boy but did not believe the injury was serious enough to take him to the hospital. Hughes asked Carpenter for a three- to six-year term, citing Zysk's rehabilitation. He said that prison time would be enough "to punish him and protect the community." O'Neill argued for five to 10 years, adding that Zysk lied to his presentence investigator and tried to coach his daughter's mother about what to tell the investigator. Calling Zysk manipulative and deceptive, O'Neill said the sentence "doesn't get close to justice, it doesn't get close to what this man did."